Spotify. Apple Music. Google Play Music. Deezer. Tidal. You already know the big-name music streaming services, but how much do you know about Amazon’s own premium entry? If you haven’t been happy with any of the other streaming music services so far, Amazon Music Unlimited may just be the alternative that you’ve been seeking. Or maybe it isn’t. You won’t really know until you try it for yourself, right? But maybe you have questions before you’re willing to dive in—and if that’s the case, then we have the answers you need. 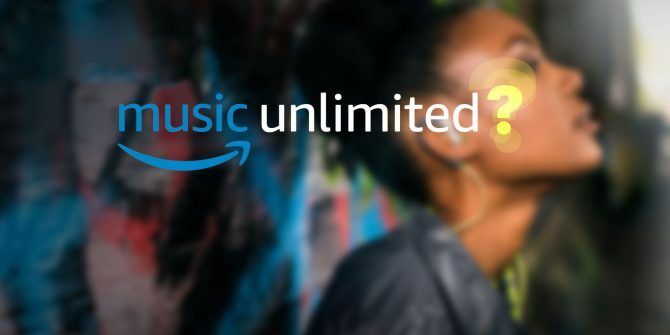 Here’s everything you need to know about Amazon Music Unlimited. Amazon Music Unlimited is an on-demand music streaming service that’s very much in line with Spotify, Apple Music, and Google Play Music. Amazon maintains a massive database of songs, and you can listen to any of them whenever you want. Please note that while it’s related to Amazon Music and Amazon Prime Music it’s not the same thing. Amazon Music is the broader online music store where you can purchase individual songs or albums and stream them whenever you want. Amazon Prime Music gives Prime users access to a smaller catalog of songs as part of their subscription. How Much Is Amazon Music Unlimited? The Individual Plan costs $10/month if you don’t have Amazon Prime and $8/month if you do have Amazon Prime. Note that Prime members can get an even steeper discount if paid annually, which costs $79/year. The Family Plan costs $15/month for up to six household members and allows simultaneous playback on up to six devices, whereas the Individual Plan can only stream on one device at a time. Each member also gets their own music libraries, playlists, stations, recommendations, etc. The Echo Plan costs $4/month if you have an Amazon Echo device, but comes with one restriction: you can only stream music using that Amazon Echo device. Note: If you’re an eligible Prime Student, you can get the Individual Plan at a huge discount and only pay $5/month. Learn more about the benefits of Prime Student 10 Key Perks of Amazon Prime for Students 10 Key Perks of Amazon Prime for Students Have you taken advantage of Amazon Prime Student? Why not? Here are 10 fantastic perks you should consider for significant savings and benefits. Read More . Is Amazon Music Unlimited Included With Prime? No, Amazon Music Unlimited and Amazon Prime Music are not the same. Prime Music is the service that’s included with Prime, with the main difference being the number of songs available: Prime Music only allows streaming of around 2 million songs while Music Unlimited grants access to “tens of millions” of songs. Learn more in our look at Amazon Prime Music vs. Amazon Music Unlimited Amazon Music Unlimited vs. Prime Music: What's the Difference? Amazon Music Unlimited vs. Prime Music: What's the Difference? 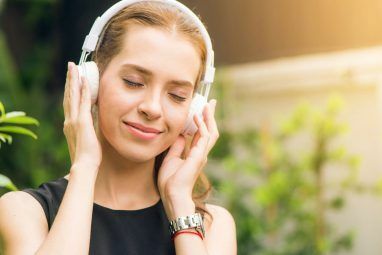 In this article, we take a look at Prime Music and Amazon Music Unlimited to help you determine which one is right for you. Read More . Can I Download Songs With Amazon Music Unlimited? Yes… and no. It depends what you mean. Amazon Music Unlimited does allow offline playback of songs… but this feature is only supported on Android, iOS, and Amazon Fire devices. When downloaded for offline playback, you can only play the songs through the Amazon Music app. Web users, Echo users, and desktop app users do NOT have access to offline playback. How Many Devices Can Stream Music Unlimited? The web player is the easiest way to access Amazon Music Unlimited, allowing you to log on and stream music on any device anywhere you go. The desktop player is available on Windows and Mac. The mobile player is available on Android phones, Android tablets, iPhones, iPads, and Amazon Fire devices, which includes tablets and TVs. Other apps are also available for Samsung TVs, Rokus, Sonos and Bose devices, and certain cars that come with built-in Amazon Music. Lastly, all Amazon Echo devices can stream songs with Amazon Music Unlimited. Learn more about which Amazon Echo device is best for you A Comparison Guide to Amazon Echo Devices: Which One Is Best for You? A Comparison Guide to Amazon Echo Devices: Which One Is Best for You? Which Amazon Echo device is right for you? 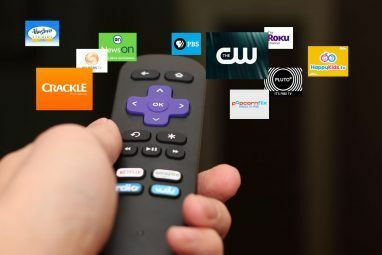 We compare the Plus, Dot, Tap, Show, Spot, Look, and Fire TV Cube to help you make up your mind. Read More and all the other ways you can play music on an Amazon Echo All the Ways to Play Music Using Your Amazon Echo and Alexa All the Ways to Play Music Using Your Amazon Echo and Alexa The Amazon Echo excels at playing your music. Here are all the ways to listen to music using your Amazon Echo and Alexa. Read More . Which Countries Have Access to Music Unlimited? Is Amazon Music Unlimited Worth It? Amazon Music Unlimited is a strong contender to Spotify, Apple Music, and Google Play Music that offers a lot of the same benefits, but falls short in execution and doesn’t offer anything unique that sets it apart from existing music streaming services. Spotify offers offline playback on its desktop apps while Music Unlimited only allows it on mobile devices. Apple Music offers seamless integration across Apple devices. Google Play Music allows users to upload up to 50,000 of their own music files to be streamed on any Google Play Music-compatible device (a feature that Amazon Music used to have but discontinued starting in January 2018). Amazon Music Unlimited is good but not great, which could be excused if the interface were at all pleasant; unfortunately, it’s clunky at best and frustrating at worst. With a full-price subscription that costs the same as its competitors, Amazon Music Unlimited is tough to recommend. Even with the Prime discount, you’re better off sticking with Prime Music (or paying for something else if Prime Music isn’t enough). 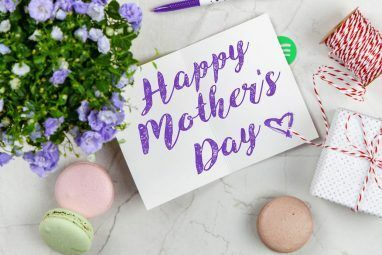 However, if you can split a Family Plan with five others, or if you can get by on the Echo plan, or if you can snag the Prime Student discount, then Music Unlimited is more than worth the asking price. Learn more about these discounts on the Amazon Music Unlimited page. What’s nice about Amazon Music Unlimited is that it comes with a 30-day free trial so you can test it out and see how you like it before committing. You’ll need to enter a valid credit card or bank account to unlock the trial, but you won’t be charged a cent if you cancel your membership before the trial ends. Go to the Amazon Music Unlimited page. Scroll down until you see the different plans available. Under Individual Plan, click Start 30-day free trial. Enter your payment method and details, then Confirm. To get started with an Echo plan, just say the following voice command using the device you want the plan to be active on: “Alexa, try Amazon Music Unlimited.” Yes, this command will also start you with a 30-day free trial! And that’s it. You are now an official Amazon Music Unlimited listener! To get even more out of Amazon, you should check out these hidden Amazon features 20 Awesome but Hidden Amazon Features You Can't Afford to Ignore 20 Awesome but Hidden Amazon Features You Can't Afford to Ignore Amazon is packed with cool features that can make your life easier. Here are 20 useful perks that you can take advantage of right now without paying an extra cent. Read More that you probably don’t know about, including benefits like Amazon allowances, Amazon TV rentals, and regular coupon discounts. Small precision. Amazon Music Unlimited is available in France and not in your list (since several months already), but not Amazon Prime Music. Amazon Prime Video is well included and available in the Prime subscription in France, but not Prime Music.